What does “Margin Level” mean? The Margin Level is the percentage (%) value based on the amount of Equity versus Used Margin. Margin Level allows you to know how much of your funds are available for new trades. 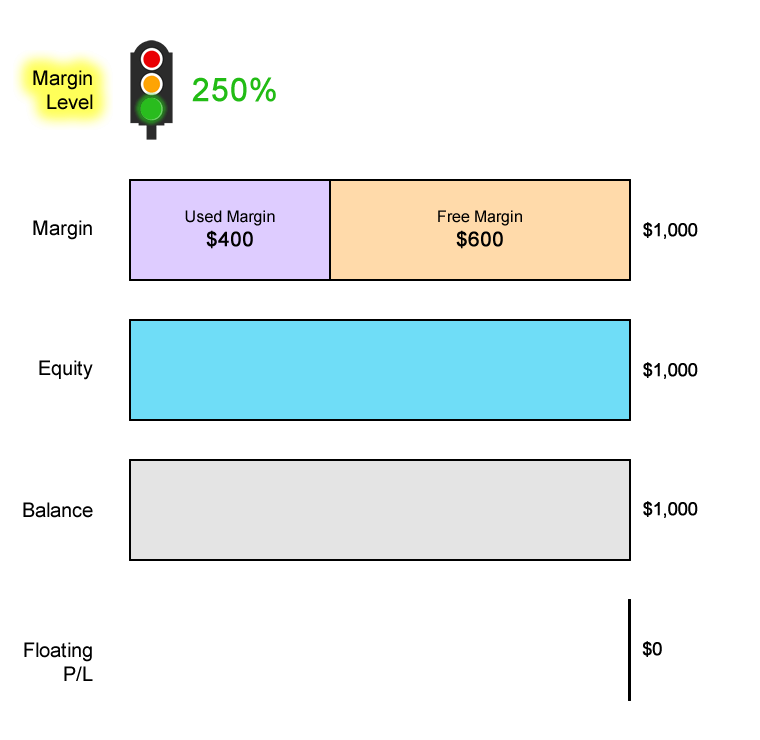 The higher the Margin Level, the more Free Margin you have available to trade. The lower the Margin Level, the less Free Margin available to trade, which could result in something very bad…like a Margin Call or a Stop Out (which will be discussed later). Your trading platform will automatically calculate and display your Margin Level. If you don’t have any trades open, your Margin Level will be ZERO. Margin Level is very important. 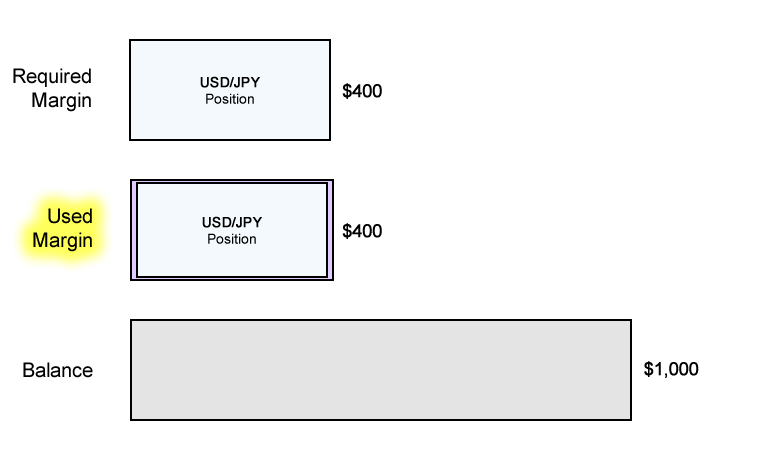 Forex brokers use margin levels to determine whether you can open additional positions. Different brokers set different Margin Level limits, but most brokers set this limit at 100%. This means that when your Equity is equal or less than your Used Margin, you will NOT be able to open any new positions. If you want to open new positions, you will have to close existing positions first. You want to go long USD/JPY and want to open 1 mini lot (10,000 units) position. The Margin Requirement is 4%. Since USD is the base currency. this mini lot is 10,000 dollars, which means the position’s Notional Value is $10,000. Assuming your trading account is denominated in USD, since the Margin Requirement is 4%, the Required Margin will be $400. The Margin Level is 250%. If the Margin Level is 100% or less, most trading platforms will not allow you to open new trades. In the example, since your current Margin Level is 250%, which is way above 100%, you’ll still be able to open new trades. Imagine the Margin Level as being a traffic light. As long as the Margin Level is above 100%, then your account has the “green light” to continue to open new trades. Margin Level is the ratio between Equity and Used Margin. 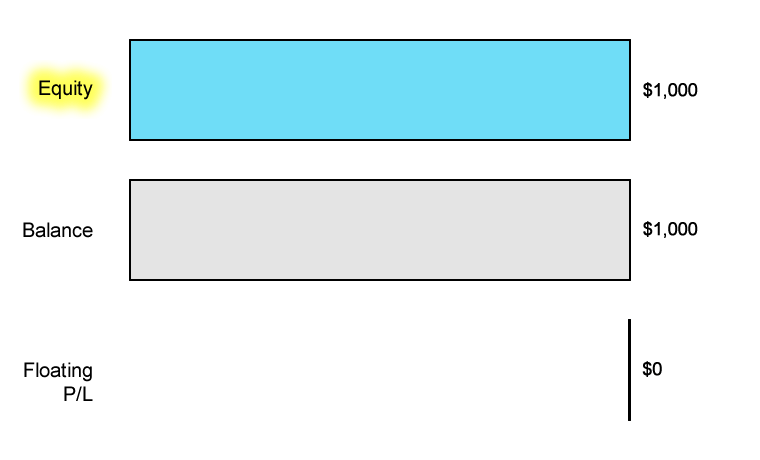 It is expressed as a percentage (%). For example, if your Equity is $5,000 and the Used Margin is $1,000, the Margin Level is 500%. What is Equity? Equity is your Balance plus the floating profit (or loss) of all your open positions. What is Free Margin? Free Margin is the money that is NOT “locked up” due to an open position and can be used to open new positions. Let’s move on and learn about the concept of Margin Call Level. Next Lesson What is a Margin Call Level?